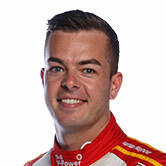 Scott McLaughlin extended his streak of ARMOR ALL Pole Positions at Phillip Island ahead of Race 10 of the Supercars season. Saturday’s WD-40 Phillip Island 500 race winner was the class of ARMOR ALL Qualifying on Sunday morning, finishing four tenths clear of David Reynolds. It means McLaughlin has taken the last six poles at the Victorian circuit, through qualifying sweeps in 2016, ’17 and ’18. Following the penalty that dropped him from second to 14th in Saturday’s race, Jamie Whincup led early with a 1:30.6050s. 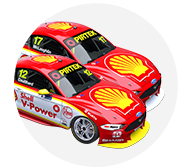 The Shell V-Power Racing Falcons did not set indicative times on their first runs, Fabian Coulthard going off at the Southern Loop. McLaughlin went straight to the top with his first proper effort eight minutes in, his 1:30.2070s four tenths clear. Michael Caruso, Whincup and Rick Kelly all trimmed that advantage back to two tenths by the time there was seven minutes left on the clock. Reynolds then got within 0.0470 seconds of McLaughlin, before drivers set out for their final runs. Inside the final minute, Whincup set the fastest time through the first sector, before McLaughlin blitzed the second and third. While Whincup did not improve, McLaughlin went on to record the session’s only sub-1:30s lap. His 1:29.8526s was 0.4014s ahead of Reynolds, McLaughlin’s 37 career Supercars poles now including seven at Phillip Island. “It’s awesome. I’m very lucky, I’m driving a very good car in a great team, and prior to that I was driving a great car as well,” he said. “That lap was OK. At Turn 1, I wish we could have gone a little bit better there, I’m always chasing more. Reynolds will share the front row with the championship leader, while Coulthard, Kelly, Whincup and Caruso will complete the top six. “We actually learnt a lot off Anton [De Pasquale, team-mate] yesterday,” said Reynolds. “He ran a different set-up and was miles faster than me, so we stole his ideas and implemented them to our go. Thanks brother. “My lap was alright,” he added. “The first set of tyres, the car was fundamentally different, so I had to get used to that. James Courtney rebounded from a quiet Saturday for Walkinshaw Andretti United to take seventh, ahead of top rookie Anton De Pasquale for Erebus Motorsport. “It’s nice again,” Courtney said. “We didn’t quite get the most out of it in that last run, I went into Turn 1, had a bit of a push and dropped a wheel off, which was a bit annoying. In a tightly-packed group behind Coulthard, Shane van Gisbergen and Mark Winterbottom rounded out the top 10 ahead of Chaz Mostert, Scott Pye and Craig Lowndes. The power steering issues that plagued van Gisbergen in Race 9 were fixed in time for the session. “It’s actually a problem now,” he said of the steering being fixed. “Yesterday it wasn’t ideal, but you had such good feel of everything, and then today the problem is fixed but I’ve got no feel in the steering. “I’d gotten used to 250km [with the problem] and then it’s completely different this morning. 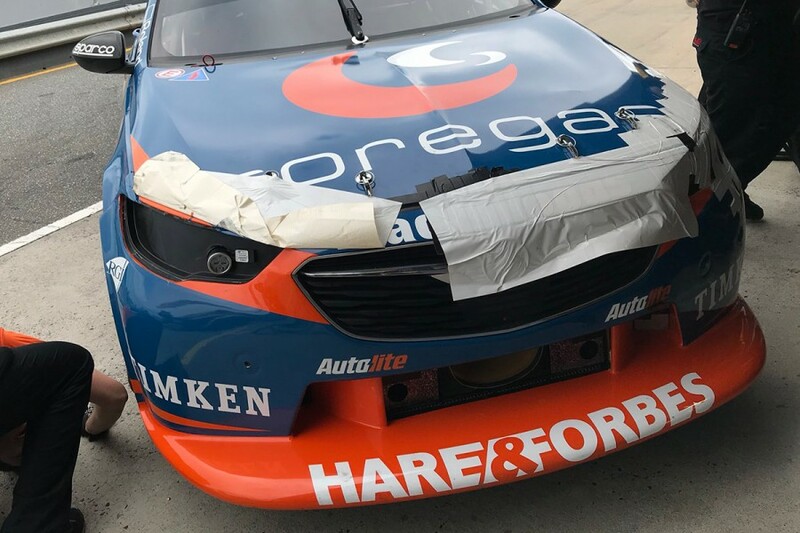 Nick Percat missed the bulk of the session as Brad Jones Racing continued to work through the front-splitter issues that marred his Saturday race. Percat finished at the foot of the times with an effectively-token 1:32.4937s. “We only had one of the type of bar we ran yesterday and we destroyed that, so now we’ve got one of our old ones on and it’s a bigger problem than it was yesterday,” team owner Brad Jones said. The 57-lap Race 10 of the 2018 Virgin Australia Supercars Championship starts at 1:50pm.